Almonds. Recloseable cap. Lactose free. Soy free. Gluten free. 80 calories per serving. 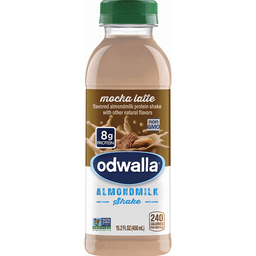 50% more calcium than dairy milk (1 cup of 2% fat dairy milk contains 30% DV calcium vs. 1 cup of Almond Breeze Vanilla Almondmilk contains 45% DV calcium. Based on 1,000 mg calcium recommended daily intake. Milk  data from USDA National Nutrient Database for Standard Reference, Release 27 ). Not for use as an infant formula. Made in a peanut-free facility. Almondiciously good! Free of dairy, soy, lactose, cholesterol, peanuts, casein, gluten, eggs, saturated fat and MSG. 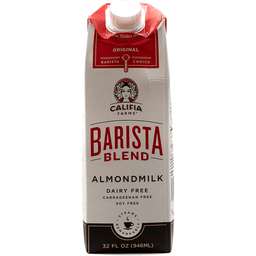 50% more calcium than dairy milk (1 cup of 2% fat dairy milk contains 30% DV calcium vs. 1 cup of Almond Breeze Vanilla Almondmilk contains 45% DV calcium. Based on 1,000 mg calcium recommended daily intake. Milk  data from USDA National Nutrient Database for Standard Reference, Release 27 ). An excellent source of vitamins D and E. Made from real almonds. Vegan. 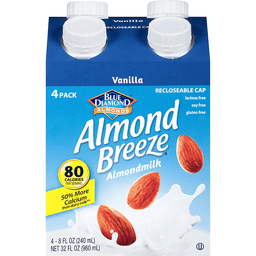 Almond Breeze is a delicious way to be good to yourself! Questions or comments? Write Blue Diamond customer support, Sacramento, CA 95812, or call 1(800)987-2329. Please include code number found on back of carton with all inquiries. almondbreeze.com. Taste Guarantee: If you are not satisfied with the taste, we guarantee your money back. For specific details, visit almondbreeze.com. Facebook: Find us on Facebook. 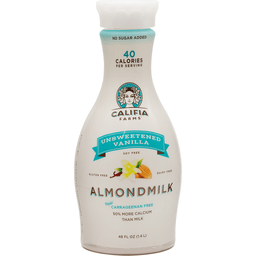 From the Almond People: Delicious tasting almondmilk from The Almond People. Growing almonds in California since 1910.